I heard that Dr Mike Comins was the very best in dealing with fat removal and reduction and like most women who are body conscious, I of course have a list as long as my arm of things I would like to tweak and improve! Most of the things on this silly list I know are completely irrational and can probably be tackled with an even healthier eating plan and some extra personal training sessions and others are a little less easy to fix! 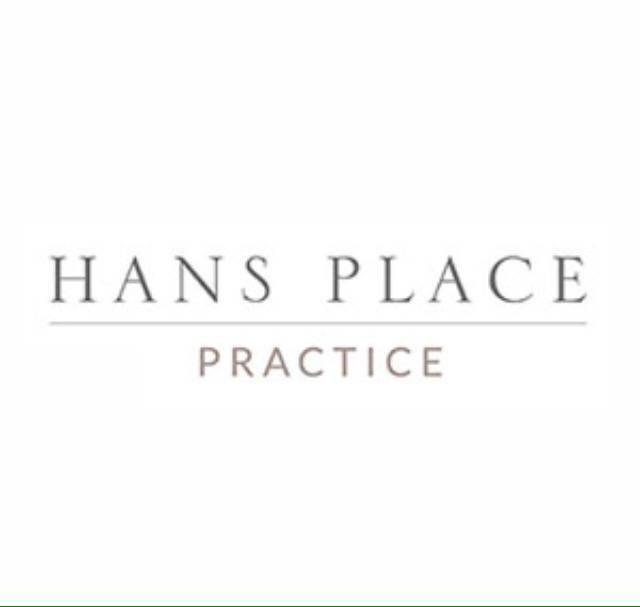 Hans Place Practice is a clinic based in Knightbridge London that offers Vaser Liposuction, Anti wrinkle injections, Dermal Fillers, Facial Peels, Aqualix, lymphatic drainage massage, Velashape to name just a few of what they have to offer. Insert my obsession with my knees! Yes I said it my knees . Now I don’t know if you have ever tried to work out or loose weight on your knee’s, but let me tell you short of loosing enough body weight that the only place left in your body for the fat to now melt from is your knees ( No I don’t fancy becoming a skinny bobble head I do appreciate my curves ) there isn’t much you can do about knee chubb! So I booked an appointment with Dr Mike Comins at Hans Place Practice in Knightbridge to have a consultation and see what he could suggest on my quest for skinny knee’s! 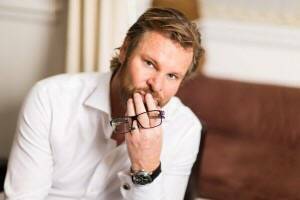 Dr Mike Comins owner of Hans Place Practice & fat removal expert. Dr Mike and his staff were so lovely and friendly and instantly put me a ease. They are a young fun bunch who aim to please. During my consultation Dr Mike who is often praised for his moral code of practice, double checked that I was a healthy woman who had tried other methods of weight loss ie: exercises and diet first before coming to him. Only then was he happy to let me try the relatively new to the market and innovative Aqualix injections. Aqualyx is a fat dissolving procedure that helps to dissolve stubborn fat simply by injection so it is much less invasive than having surgery. Sometimes stubborn areas of fat can be resistant to regular exercise and a healthy controlled diet.Even a drastic diet and high intensity exercise can sometimes fail to shrink areas of fatty deposits. This is because of the way that our fat cells are structured in certain areas of our bodies. The body naturally stores fat so that it can be used to release energy when required, but it doesn’t mean it is always evenly distributed around our bodies. What about the medical stuff? The body produces desoxycholan-acid; this is a bile acid which is made in the liver and helps the digestion of fat. Aqualyx contains this bile acid and its fat dissolving properties are utilised in this treatment making fat dissolving possible. Aqualyx has the power to lock onto the the fat cell to make it unstable and weak. This then releases the content of fatty acid inside the cell itself. Next the body then uses up the fatty acid as energy and removes the cell residue in its normal way. It’s almost like a detoxing process. Aqualyx can be used on the entire body, but is only recommended by Dr Mike for use on smaller area’s . The treatment takes place in his office on a treatment couch, Hans Place Practice does have a newley installed state of the art theatre on there lower ground floor for all more invasive surgery. It was so quick and easy, it was also unexpectedly & relatively painless to be honest. The needle is rather long so if you are needle phobic it maybe isn’t the treatment for you. But it was over in 5 minutes and practically painless. So what happens post treatment? Post treatment you can expect tingling, plenty of redness and swelling, itching along with a little discomfort. The idea is that the Aqualix swells your fat cells until they effectuvely burst and expel naturally through the body. Results are permanent and you can expect to see results after 2-3 treatments administered 4-6 weeks apart.There is no downtime following treatment. You should avoid extreme heat and avoid strenuous exercise for the next seven days. As the fatty acids are being released it is essential to maintain a healthy diet as alternative fat depots in the body may be used to store the fat. Check back in over the next few months to check out my results!